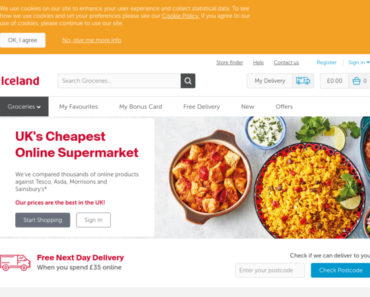 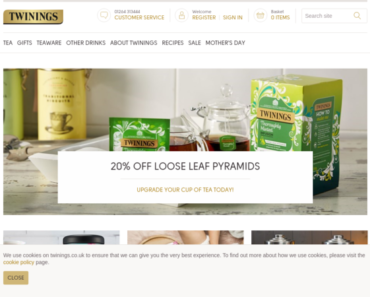 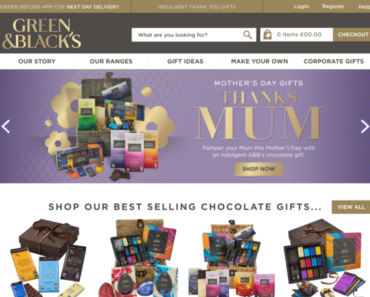 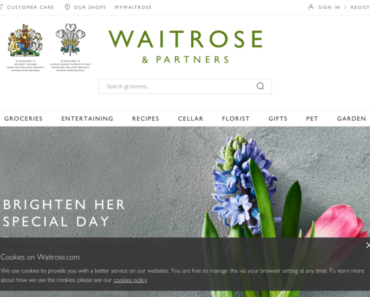 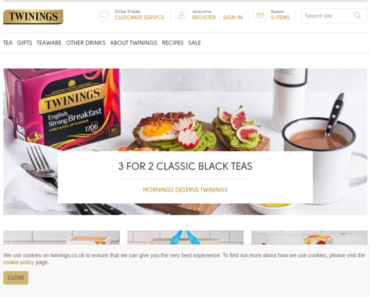 Twinings – New Customers: 10% off Orders. 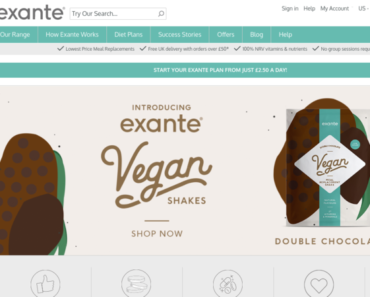 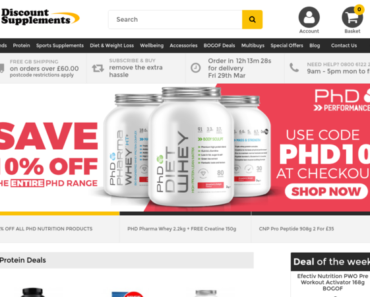 Exante Diet – 20% off Products. 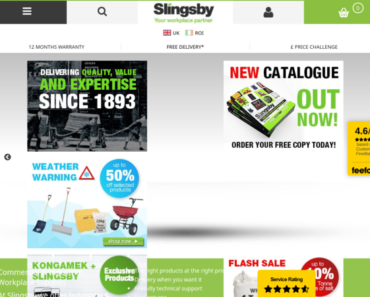 Slingsby – 10% off Orders Over £285.